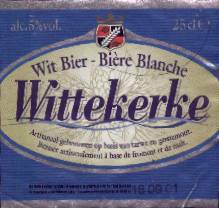 ﻿ WeizenWeb: Witbier, Wheat ale, Wheat beer, Weizenbier and Weissbier! 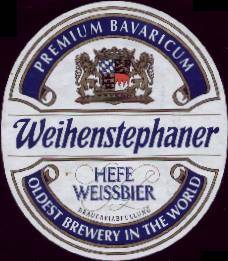 Whereas most beer is made out of barley, Weizenbier is made out of wheat. This gives it a much stronger flavour -- those into such things often refer to it as 'cloves, banana and bubble-gum'(!) -- as well as more fizz (although I'm not really sure of the reason for the latter). Having said this, it is generally not 100% wheat, but (in Bavaria) generally somewhere around 66% wheat and 33% barley (sometimes 50/50). 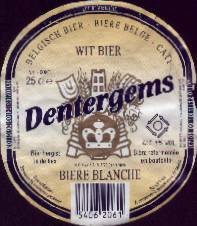 Other wheat beers include the 'sour' Berliner Weisse (33% wheat / 66% barley, often drunk in a semi-spherical glass mixed with brightly coloured syrups such as raspberry or woodruff) and the Belgian Witbier ("white beer"; the Flemish for "wheat beer" is Tarwebier; the French term "Bière Blanche" is also used), while many of the Belgian Lambic beers contain fruit in addition to wheat. In Sachsen, particularly Leipzig, a nearly-lost traditional wheat beer called Gose is making a comeback. 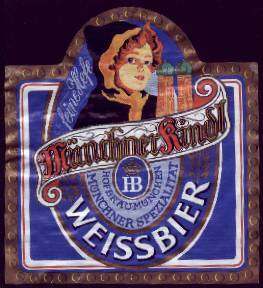 There are many similarities with Berliner Weisse, including the manufacturing process and the habit of adding syrups (raspberry or woodruff to make the "Sonnenschirm" = parasol, Curaçao to make the "Blaue Engel" = blue angel, cherry brandy to make a "Frauenfreundliche" = woman-friendly (!) version, and Allasch caraway liqueur to make the "Regenschirm" = umbrella). 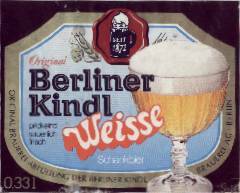 The first post-war batch was in fact made in a Berliner Weisse factory. Gose has a unique shape of long-necked bottle (originally uncapped: the thick froth was supposed to keep out any germs), and vase-like 0.8 litre glasses. The 1824 Döllnitzer Ritterguts Gose is available in the Gosenschenke "Ohne Bedenken" and now a second Gose pub has been created through the restoration of the Bayerischer Bahnhof station. 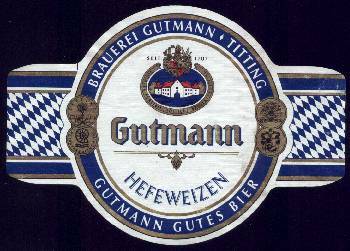 The name comes from Goslar, where it originated (first mentioned in around 1000 A.D.), and is possibly the ancestor of Gueuze: see below. ????? 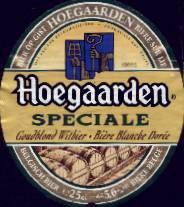 differs from modern Gose in that Gose uses coriander and salt (probably to avoid infection), while Gueuze relies on hops. 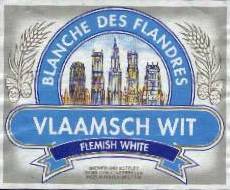 , the only fruit-free Belgian white beer According to the Cantillon brewery, wheat is generally used to add sour notes to a beer, but contains much less starch (=> sugar to be fermented) than barley, which makes it hard to create a 100% wheat beer. Another tradition does however appear to have been lost: the Breyhan or Broyhan beer from North Germany. 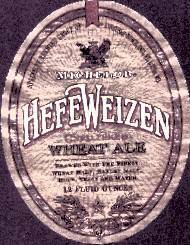 An entry from Zedler's lexikon in 1733 says that it was made from malted wheat and hops, and often used in soup(!). 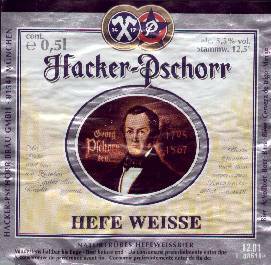 It was named after Cordt Breyhanen, a Hamburg brewer, who moved to Hannover and recreated his Hamburg beer there on 31 May 1526. 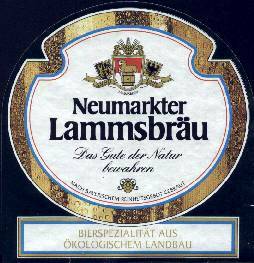 See also Old German Beer Styles. 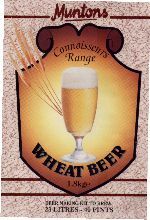 Brewers in many other countries have also produced wheat beers (see below), which are often tasty and more interesting than conventional brews, but in my mind none really come up to the Bavarian ones. Recently some American brewers have created very strong wheat beers named "wheat wine" (in the "barley wine" mould), although this could cause confusion as there some winemaking enthusiasts also make "wheat wine" (which is totally different, and probably closer to the Weizenwein described in a few old German recipe books... while Weißwein is of course something entirely separate again). Even within Bavaria there are many different types: Hefe-weizen (yeast is left in, which makes the beer cloudy and improves the taste), Kristall-weizen (crystal clear: a slice of lemon is sometimes added, although I have recently witnessed a few Bavarians even adding lemon to Hefe-weizen), Leicht (light = low alcohol / low calory), Weizen-bock (double strength), Dunkel-weizen (darker), and even Dunkel-weizen-bock. I have also found organic, "smoked", non-alcoholic and shandy varieties. German shandy made with non-Weizen beers is normally called Radler (meaning "cyclist"; recently even some Germans call it "biker"). 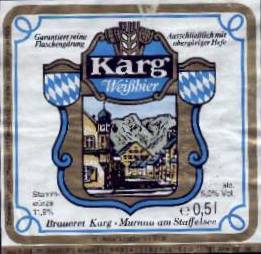 This name was apparently coined in the summer of 1922 when Franz Xaver Kugler, the owner of a mountain hut, found the cyclists were drinking him dry so diluted his beer with lemonade, claiming this to be a new drink he had invented specially to allow them to return home safely. Weizen shandy on the other hand is called "Ruß" (Russian), a name coined a few years earlier (in November 1919, at the time of the November Revolution). In this case, it was a Munich landlord (at the Mathaserkeller) who found himself in danger of being drunk dry by communist sympathizers, so stretched his (Weizen) beer in the same way. Other variants (see also www.abseits.de/biermix.htm) include Colaweizen (50% Weizen, 50% Cola; also known as Flieger, or by the "politically incorrect" name Neger-Ruß), Frühstück Weizen ('breakfast' Weizen, with orange juice), Hollodri (with elderberry juice), Kirschweizen (with sour cherry juice), Pfirsichweizen (with peach juice), Bananenweizen (75/25; with banana juice; also known as "Elephant Sperm"! 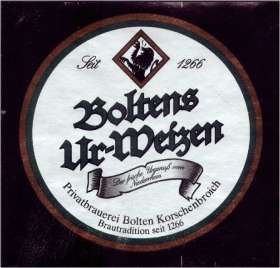 ), Potsdamer Weizen (Berliner Weisse mixed with a conventional light-coloured beer such as Pilsner, but served in a Weizen glass), and Berliner Weisse Blau (with Blue Curacao). Even stranger combinations doubtless exist outside Germany / Bavaria, although in many cases it seems the brewers just add fruit flavours etc. while making the beer, rather than mixing afterwards. All Bavarian Weizen are served in the same distinctive shape of glass, which is quite fragile (I've broken them when pouring, and even bitten through one!) so when toasting somebody you should clink the heavy base of the glasses together instead of the top. I have been told that the glass was made this shape in an attempt to suppress the Weizen's froth, although I suspect it is rather designed to promote a good head. Beer in Bottles (http://www.beer-in-bottles.co.uk/g_germ.htm) used to offer a wide range of Weizenbier glasses, but seems to have disappeared now. 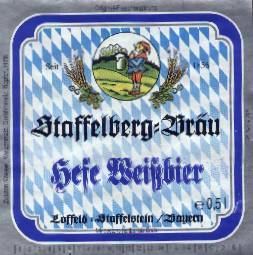 Straubs (in the USA) have a large variety (the Americans seem to call them all Steins), and there are some nice examples of Weizenbier Krüge (stone mugs, sometimes with lids) at the First Original Bavarian Shop on the Internet. 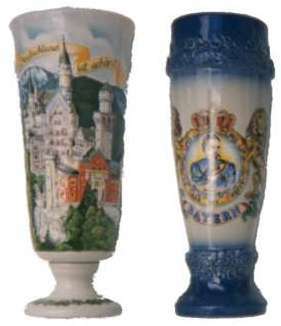 Here is a picture of two unusual Weizenbier mugs I have myself: one with Schloß Neuschwanstein and the motto "Deutschland ist schön", the other with "Bayern" and a picture of mad King Ludwig. Draught Weizenbier used to be quite rare (I'd even say non-existent) in Germany and Bavaria, although I did find some in New Zealand of all places. 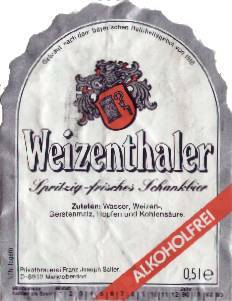 Since around 1995 however it seems that the boom in the West has been mirrored inside Germany and Bavaria, and draught Weizenbier is becoming increasingly common (which coincidentally means that 300 ml glasses are becoming quite common too). I have heard that it is quite popular in Milwaukee, Wisconsin -- for whatever reason. 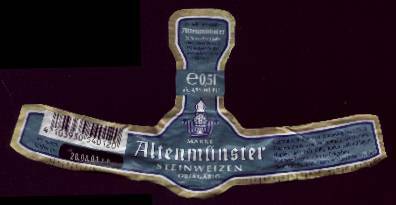 Cans are still comparatively rare: almost inevitably Weizenbier comes in half-litre bottles, which are all basically the same shape and thus easily recyclable. 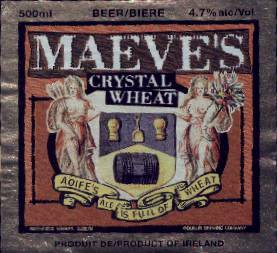 As the beer gushes out the bottle should be lifted up slowly, and when nearly empty should be withdrawn completely and swung around in one hand to capture the last grains of yeast, which are then poured in vigorously to cloud the beer (with non-filtered varieties). It should also have a good, firm head, although it is easy to tilt the glass too much so that the head takes on the glass' shape. Note: this is the school of Weizen-pouring which I learned, and there is much debate over the correct method of performing each step! 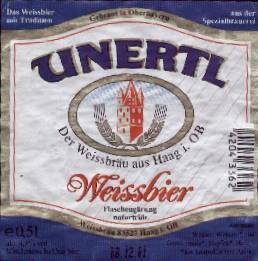 When I started this page I had no idea how many breweries were producing Weizenbier in Bavaria (let alone elsewhere), except that I'd sampled around 100 varieties (judging from the labels I collected: click on any "pic" link below to bring up a picture in a separate window). Recently, however, I have come to realize that the number is probably well over 1000, and it is futile to attempt to make any definitive list without getting totally obsessive. 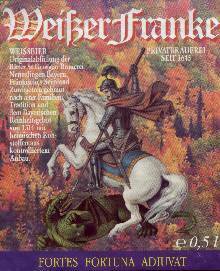 For example, one collector says he has over 1600 Weizenbier glasses from 900 breweries, and the photographs at weizenbierglas.de are equally awesome. I am therefore no longer going to update this list that often, although I hope it still gives some idea of the scope available throughout the world. Various professionally or commercially-run websites also have large lists (complete with "tasting notes" etc. ; e.g. 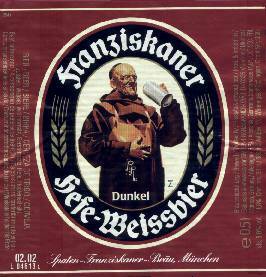 Ohhh My Head and Beer Advocate) and the number of hits for Weizenbier / Weißbier / Wheat Beer / Wheat Ale etc. on the Internet is increasing daily, so there is no shortage of information for those who want it -- unlike in 1995, when this was effectively the first page of its kind. Also, there seems to be a trend for local brewers (microbreweries, brewpubs, etc.) 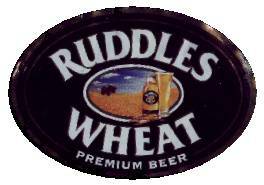 in the UK and USA to produce different beers every year, including the occasional Weizen. Many of these are only available draught, at the brewer's own establishment or beer festivals, so while I welcome the fact that this is happening, attempting to list all their names is a waste of time. 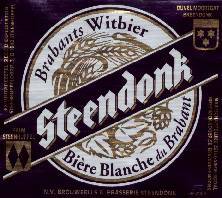 Another problem is that many beers are now being given "brand names" rather than simply using the brewery name as in the past. Anyway, the end result is that Weizenbier is now much easier to obtain throughout much of the world, so my original purpose in setting up this page seems to have been accomplished. Maisel Bamberg (Hefe / Dunkel) Note that this is totally separate from the other Maisel below! 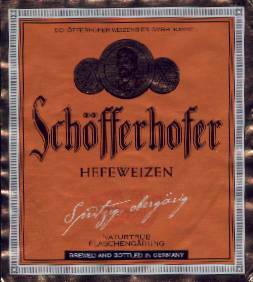 Zoetler (Hefe, Dunkel). Comes from Retternberg, the "southermost brewery village in Germany". Theater Wit by Ambachtelijke Brouwerij "De Griffioen"
Hvidtøl is a low-alcohol dark beer and is very sweet in its taste, and it has a complete different tradition and history. 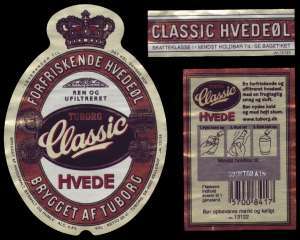 Hvidtøl was made in the old days when people believed in ferrys [N.B. despite there being a common variety called skibsøl, i.e. 'ship's ale', I don't think he means 'booze cruise' vessels such as the infamous Saturday-evening boat from Copenhagen to Malmö... but fairies!]. At Christmas time they made this "Hvidtøl" and apart from drinking it, they layed it on the roof to the ferry who lived in the house. Now people don't believe in ferrys anymore of course [too many bridges? ], but now it is "that beer" children in Denmark start to drink. 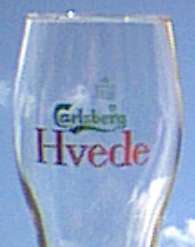 Most Danish children loves Hvidtøl. The name "Hvidt" is quite ironic, as many varieties are dark. 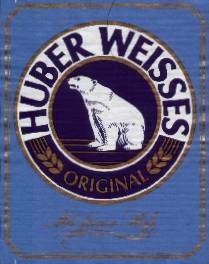 It comes from the fact that this be er is made from "white malt", i.e. malt barley harvested before it matures properly and changes colour from white to green. This presumably accounts for the low alcohol content (which incidentally makes it tax free) and its suitability for children (like Malzbier in Germany or Root Beer in the USA); indeed, in the middle ages it was generally recommended to drink Hvidtøl rather than water. It still has strong associations with particular seasonal festivities. Hvidtøl is generally said to come in four varieties -- Lyst (Pale), Mørkt (Dark), Jule (Christmas) and Påske (Easter) -- but it is not yet clear to me how the Christmas/Easter types differ from the others (maybe the Christmas Ale contains even more sugar?). 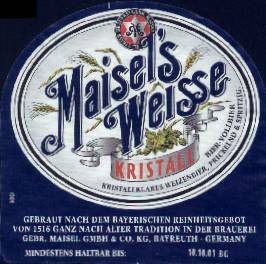 A Danish friend says that the most popular variation is called Nisseøl ("Santa's Elf's beer"); while the Net-Etiket website lists many more historical varieties: Hvidtøl no. 1, 2 & 3; Skattefri, Kroneøl, Juleøl, Påskeøl, Skibsøl, Bitterøl, Lystøl, and Wienerøl. Kongens Bryg Mørkt; possibly by Tuborg? Pshenychne Etalon -- Brewed in Kiev with Munich technology, and available worldwide in beautiful presentation packs. 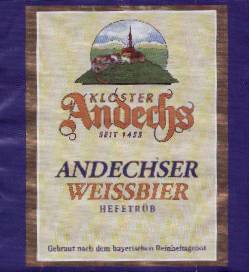 In 2004 it won the gold medal for "South German-Style Hefe-Weissbier" at the World Beer Cup, and "Best Wheat Beer" at the Brewing Industry International Awards (see also BIIA 2004). Panil Blanche According to MaxBeer, Weizen seems to be readily available in Italy (possibly due to large numbers of German tourists?). Pietra Colomba (with strawberry tree, myrtle, cistus, and juniper). Casta Triguera by Especialidades Cerveceras S.A. de C.V.
Ozark Brewing, Fayetteville, AK: "Horseshoe Hefe-weizen"
Pete's Honey Wheat / Pete's Wicked Summer Brew (Hefe) -- no longer seems to be available on their slow, Flash-heavy website? Wild River Brewing's Oregon Blackberry Porter, Raspberry Wheat, Hefeweizen, Weizenbock, etc. Vino's, Little Rock, AK: "Rainbow Wheat"
Japan seems to be experiencing a (long overdue) boom in interesting beers, and Weizen too has become much easier to find. In October 2000 I had some in the Yuiga-Doxon restaurant in Furano, which I suspect was a local Furano brew (bottled) although I have yet to confirm this. "Romantic Mura" near Utsunomiya also allegedly has a Weizen, although this is not mentioned on the Japanese microbreweries site. 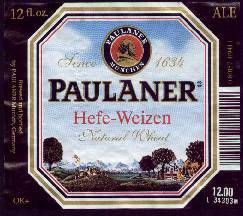 Imported German Weizen can be found in a few locations, e.g. 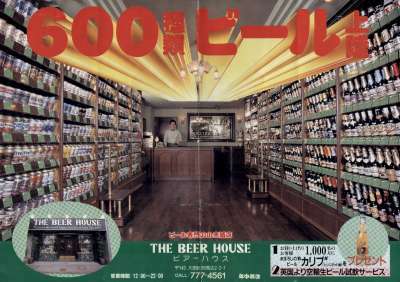 Japan's largest beer shop in Nishi-Magome, Tokyo (600+ varieties: see pic). See the list of imported beer shops in Tokyo ... Also worth looking (on the same site) at the list of Tokyo Brewpubs and Beer Bars, as many apparently serve Weizen both imported and domestic. 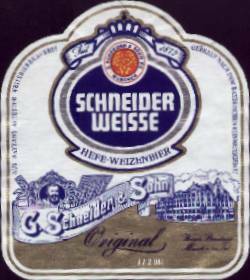 Kuroneko Yamato offer a "mail order from Europe" service which includes Schneider Weisse Original (pic) but at a horrific price! 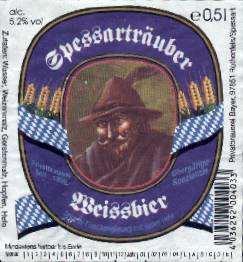 In addition to Weizenbier labels, I collect beer mats -- an art going by the name of tegestology. I have a few thousand (including a "membership mat" from the British Tegestology Society, and one certifying the collection when it stood at 500), but regrettably very few relating to wheat beers ... For what it's worth, the largest collections of beer mats and labels listed in the Guiness Book of Records are 150,000 and 425,000 respectively! 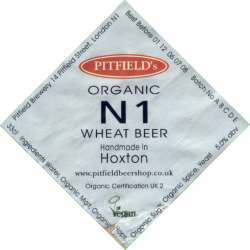 Not surprisingly, there are plenty of Web pages devoted to beer in general. The Campaign for Real Ale is a good place to start; Henry's Beer Links are also worth a look; and a large variety can also be found on or via RealBeer.com). An ever-increasing number of American sites have information on micro-breweries (e.g. an Oregon beer festival featuring several wheat beers) or homebrew recipes, including an incredible wealth of Weizen derivatives (try The Cat's Meow and/or BeerStyles.Com). 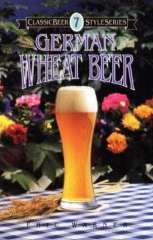 Pa's Bier has several excellent and entertaining pages about wheat beer, with an Austrian / American slant. 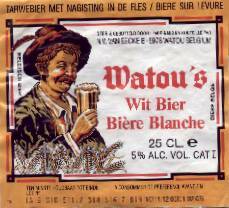 White Beer Travels has many wonderful pages full of historical and scientific detail about Belgian witbier and others, while Lambic and Wild Ale goes into modern attempts to develop the lambic style further. 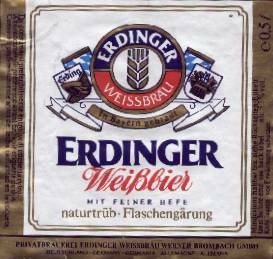 If you want opinions on how Weizenbier tastes, try Epicurious. If you'd prefer to taste them for yourselves, various UK suppliers offer good selections by mail order, although they may not have a quick turnover (so check the "best before date" on each bottle when they arrive). 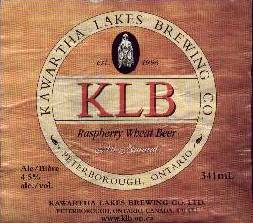 I'd also recommend searching for your beer online (or downloading a full list etc.) then phoning up to order. 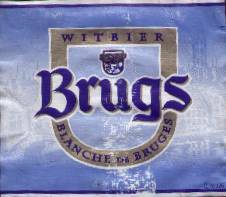 Try: Beers of Europe (large variety: get the PDF file), Barrels & Bottles (not much variety, but cheap! ), Majestic Wine (free delivery, but only if you order 4+ cases). The Beer Cellar in Norwich also offers wheat beer selection packs by mail order (but not online; the prices in this picture are almost certainly out of date). The Swan and Rushes pub in Leicester also has a truly excellent selection. 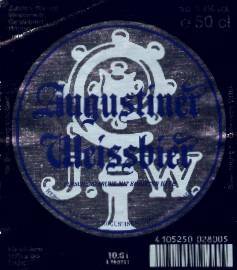 Finally, there are comprehensive sites at (surprisingly enough) www.bier.de, www.germanbeerguide.co.uk and www.netbeer.org. There used to be only one other web page on tegestology (now at www.zumbo.ch/mats), but now there are apparently several dozen, best found via this Open Directory Project list.